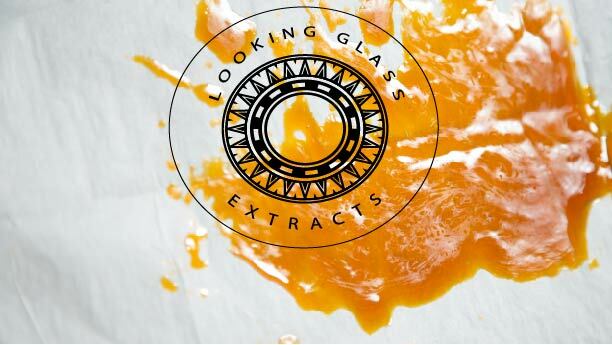 After years of testing every method available, searching for the cleanest and least product degrading process Looking Glass Extracts is proud to make it’s public debut this April at only the finest of Oregon medical dispensaries. Looking Glass is dedicated to producing high potency and great tasting BHO’s. As gardeners ourselves we take care of our product from infancy knowing that a great starting flower will only help us yield the award winning concentrate you will come to expect from us. Our BHO is known for it’s great taste thanks to our high terpene count. Everyday new medical benefits of these terpenes are being discovered. We do not add any terpenes to our product after production, striving for the purest BHO on the market. All of our BHO is tested by Green Leaf Labs to surpass all Oregon State regulations. In addition to all required testing we ask for our terpene profiles and to have them confirm that our product is free of residual solvents. As with our growing practices, our BHO processing is ran with the strictest of standards. Only food grade n-Butane is found in our laboratory. We have partnered with Subzero Scientific, using their state of the art extraction machines in our labs. We take time in all stages of the process to make sure when you enjoy our BHO, it will be a pleasure for your palate, throat, nose and mind. #Repost @dopemagazine with @repostapp.・・・#winneralert Best Concentrate of the Year @lookingglassextracts! Congrats on the win! Looking Glass is dedicated to protecting hight potency and great tasting BHO's. As gardeners, they take care of their product from infancy knowing that a great flower will only help them yield the award winning concentrates you will come in to expect from them. Fresh #mango on the way! #ommp #oregongrown #crumble #concentrates #dabs #oil #shatter #highgrade #hash #terpenes #knowyourmedicine #thc #cbds #dabgirls #dablife #weed #strains #risetothetop #pdx #unitee #high #power #awardwinning #fullmelt #sugarwax #liveresin #thefuture @budporn heading your way hit me up when it will be a good time for you guys! #Repost @oregon_concentrate_challenge with @repostapp.・・・Good Morning! It's going to be a great day! Can't wait to see everyone today at The Oregon Concentrate Challenge! #Repost @cannadad with @repostapp.・・・#winners at #diaor2016 #celebrate with #blunts #dopemagazine #wholesquadonthatrealshit #dope: me, @bravemomma420 @lookingglassextracts @sea2pdx @mr_emmons @nushwander @dopemagazine #staylifted #dowhatyoulove #cannabisindustry #keepit100 #classy #defeatthestigma #weedstagram @shine_papers big up fam we won!